In a terrific Art Deco building on the Upper East Side, we renovated the living room, dining room, and entry foyer of a three-bedroom coop in that same style. Leo J. Blackman (now BLuHR) Architects had done work 15 years earlier on the private spaces (bedrooms, kitchen, study and baths). But with two children now teenagers, the owners sought shared spaces that would better accommodate their needs. The scheme employs faceted mahogany portals to separate the three public areas, and a continuous horizontal line (from window sill to cabinet top to panel divide) to bind them together. The fireplace surround uses the same wood trim, and a dark marble facing. 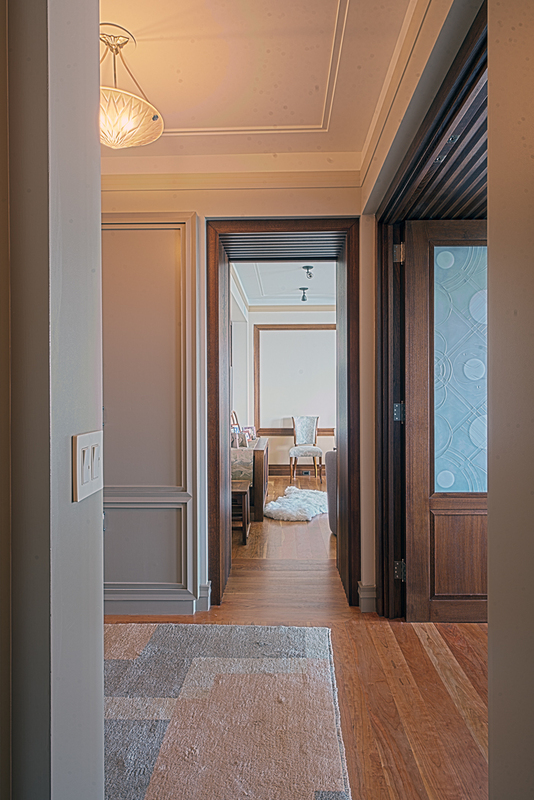 Sliding doors with etched glass panels allow the rooms to be closed off from the foyer. 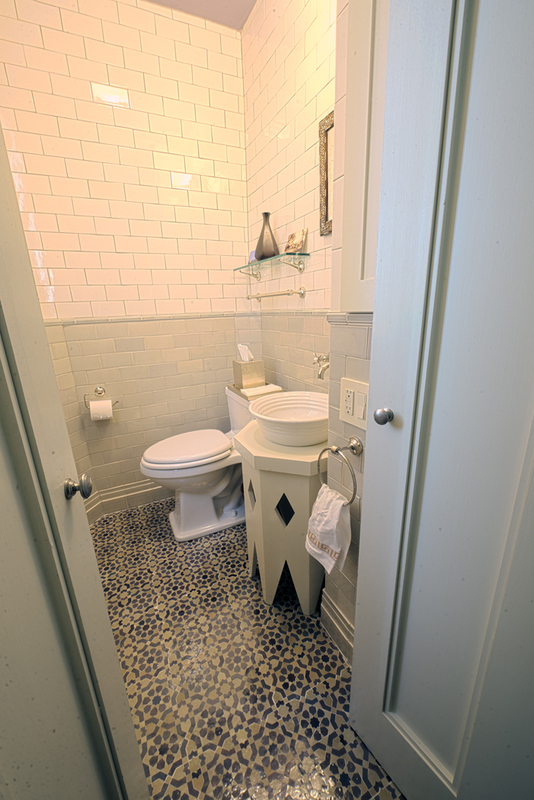 New flooring, lighting and furnishings have been incorporated into the design.